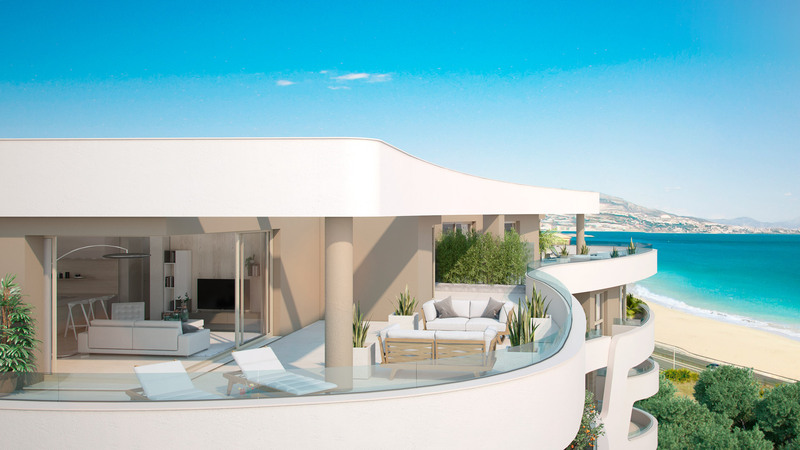 Introducing a brand new modern & contemporary off-plan development close to Mijas Costa. This innovative and elegant promotion consists of 1, 2 and 3 bedroom apartments and penthouses with swimming pools and private parking. The apartments and penthouses enjoy spacious and bright rooms offering breathtaking views of the coast and the surrounding area. This project will captivate with its ambitious architectural design and private communal areas which are ideal spaces for relaxation and pleasure. Aside from the amazing launch prices, this modern-style development boasts a fantastic location. Not only is it a stone’s throw away from one of the Coast’s main shopping and retail centres and the renowned El Corte Ingles department store, the complex is next to a riverside recreational area & a short distance from the beach and several world famous golf courses. It also offers quick access to the two principal A7 and AP7 motorways, and is only 20-minute drive west from Malaga airport and 20 minutes east to the popular resort town of Marbella. For lovers of golf, gastronomy and leisure, this is the perfect place for your new home on the Costa del Sol.